Remember when Trump spoke at AIPAC’s 2016 Annual Conference when he was a candidate and said the following? “If we don’t come up with a strategy against Iran, we’re going to make Israel go to war here pretty soon.” according to CBS News. A strategy will be surely discussed, the question is, what will it be? An all-out war against Israel’s neighbors involving the 2,000 U.S. troops already stationed in Syria? Jerusalem and the Third Intifada? So the U.S. will have to fight a multi-front war not only with Syria, Hezbollah, Lebanon but now with the Palestinians. The close relationship between the Trump Administration and the Netanyahu government can lead to a regional war that will involve a coordinated US-Israeli attack on Iran, but only, and I repeat, only if they can defeat Syria, Hezbollah, Lebanon and now the Palestinians. A war against Iran will be long and costly and at the expense of U.S. taxpayers. The U.S. currently holds close to $20 trillion in debt (war will significantly increase the U.S. debt total) and it keeps rising. Another war will only benefit the Military-Industrial Complex and Israel (who also plans to expand its territory to create a Greater Israel) who want total control over the region’s natural resources including water, oil and gas. War is on the agenda and with Trump in the White House, Israel’s security will be top priority. 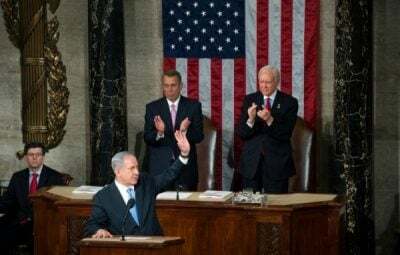 Is the U.S. and Israel that confident that they achieve their geopolitical agenda in a Multi-front war in the Middle East that will include Russia and China? If so, Insanity has completely taken-hold in the Trump White house.